Jim Basketball Jones’ brings his game to this assembly. He addresses effort, personal responsibility, choices, respect, kindness and overcoming adversity. Students are engaged in activity, audience call backs and empowered by inspirational stories. Jim is so engaging, funny and direct, he will keep your middle school students on their toes for the full hour. His presentation skills will amaze your staff as they watch how interactive their students are with him. At the end of the presentation, Jim reveals his personal story of being a Special Ed student and his struggles with dyslexia. He ties all the personal character traits back into his story of how he went from the special classroom down the hall to graduating number one from college. This is a powerful assembly about hope, personal commitment, overcoming challenges and just never giving up. We Become Our Choices - Our character is a reflection of what we say or do. Choose to make the right choices and always give your best and that will reflect who you are. "You are the kid's favorite guest. You have just the right mixture of message and entertainment and your involvement of the audience is wonderful." 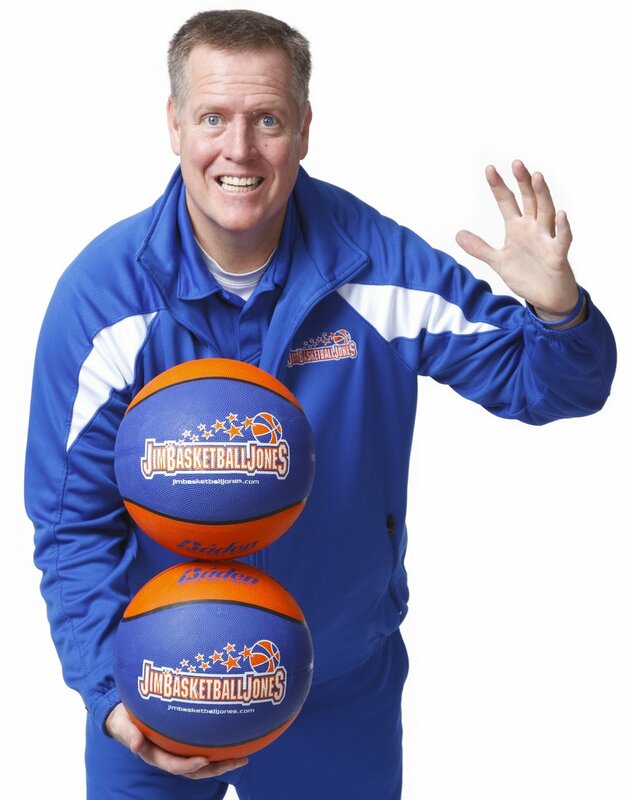 Anti-Drug Awareness - Bring Basketball Jones to teach your kids about making safe and healthy choices. This program is great for bringing awareness of character to your students.